Wishing For The Day He’s Six Feet U﻿nder. – Being a COA is a thing! Wishing For The Day He’s Six Feet U﻿nder. Another frank and honest guest piece today. Remember to contact Nacoa for help and support. “How dare she die on me, how dare she leave me alone, my port of call in a storm.” It was a selfish thing of me to think the day my uncle spoke the words “I think you better come down here.” In a solemn whisper. She’d gone, my world had crashed and even though I had spent thirteen months knowing this day would come I wasn’t prepared to be left alone. My Gran, a wonderful woman who was superwoman in my eyes passed from fighting Pancreatic Cancer, at home with her family around her. I spent an hour talking to her when I finally got around to the house which was only a five-minute walk from my parents. However, on that day the five-minute walk was met with family members trying to embrace me whilst I grappled away from their arms to get to my gran. I don’t remember exactly what I told her, but I remember watching her lifeless body look angelic, resting, at peace. But the one thing I do remember is feeling completely alone, you see – she had been my mother for as long as I could remember, my best friend and the one who had brought me up to be the person I am today. She was my saviour. She was the one I would run to in the dark when my mother had filled her day off work with as much wine as she could possible handle, and then more. I spent my childhood wishing my mum could work twenty-four hours a day, seven days a week, because when she was sober -she was the sweetest lady anyone could wish to meet, but after a few glasses of the devil’s water she became ugly, sorrowful, full of hatred towards my father and me. She would spend the nights falling down stairs, tripping over her own feet, and lashing out at whatever she could. Phil Collins would surround the house at 2am where she would sit by the stereo blasting out his records – I still can’t listen to him these days and I’m twenty-eight. One night, on her birthday my Dad was reading me a bedtime story and there were loud thumps from outside of my room. My Dad looked at me “Don’t you dare walk outside this room.” He growled. I was about seven years old and of course, at that age when someone tells you not to do something – you go ahead and do it, and curiosity killed the cat that night. I creeped down my captain’s bed and stood at the door whilst I heard my Dad whispering “Don’t die on me, get up.” He was holding her blood-stained body and weeping. I stood looking at the blood and my mum’s bare legs. Was she dead? In a way, unfortunately not. I spent that night at my Great Aunt’s house whilst my mum was taken to hospital and my dad was questioned by police. Three riot vans and an ambulance parked outside the house as I was rushed out away from the blue flashing scene. She left hospital and spent the night at home. I still can’t get the amount of blood there was at the bottom of the stairs that night out of my head. I remember it like it was yesterday. To cut a long and story short, for seventeen years my mum was the one to blame, my dad hated her and I wished to have a mum who smelt of Dove hand cream, perfume and soft lips that would kiss my forehead goodnight on an evening, but I was graced with one that had the rotting stench of white wine and cigarettes on her breathe. When I was nineteen I moved out, I didn’t tell my parents and I moved into a flat above the nightclub I worked at. I was away, away from the hell. My gran had left this world two years earlier and I couldn’t bear to be at home anymore. I remember my mum ringing me that night “Where is all your stuff?” I laughed as I felt I had the upper hand over her. Two months later I got a phone call whilst watching my own television in my own room – it was bliss. “Your dads’ had a stroke.” The words shot through my stomach like a knife wound and my mind raced with a reply. “Is he dead?” I shot up from my peaceful slumber and watched the world pass by underneath me at the window. From then on it went bad to worse, my father would pass out in the house alone, have fits if he didn’t drink for a few hours. My mum would find him lying in his own filth in the bedroom. One night I went around, for some reason something didn’t feel right in my head, my stomach churned as if something distant was calling me. I had moved in with my boyfriend (now loving husband and devoted father) and left him for an hour to go explore. I approached my parents’ stairs with caution when I arrived at the house – it was dark and deadly quiet but I had heard a sound upstairs that I knew I had to discover. I reached the top of the stairs to be greeted by my dad who had passed out on the bathroom floor, as he had fallen he had taken the towel rail with him and it laid broken around him. His trousers were down and excrement covered his skin. I then looked to the hallway where I saw a drunken woman stood in the shadows, it could have been a horror movie but instead of being frightened like I had been a child, anger filled my veins. Hed apparently been lying there for three hours. My mum too drunk to care. “Help me get him into my old bed.” I heaved his dead weighted body across the hallway and managed to clamber him into my bed. It was the hardest slog I had ever done, he kept slipping out of my grip as I dragged his naked wasted body a few metres towards my room, sweat dripped from my brow. What other child had done this with their parents? Because I felt like the only one in the world that had ever had to cope with this. He had had seven TIA’s (mini strokes) and a heart attack. I remember visiting him the day after he had been admitted to hospital. Monitors beeping and tubes tangled his jaundiced body. He was out cold and I ran outside the ward crying. A nurse ran after me and asked if I was ok. I handed her a letter that I had written to him. “Please give this to him when he wakes.” The letter explained that I wasn’t going to see him like that again and if he didn’t get better for himself at least try for me – ‘his daisy’ as he used to call me. He spent a few weeks sober after he was discharged, he was looked after by the services who made regular visits to him at home, I bought him non-alcoholic lager every day, checked up on him every few hours – I put all my effort into making sure this was a turning point. I had parented my parents all my life, that’s all I knew – how to look after them. I had battled with demons such as anorexia (not that my parents ever knew) and spent most evenings cutting the skin at the back of my thighs with sharp objects – why? To feel something other than the emotional pain that I had lived through. I wanted to feel another sort of pain – a pain I could control instead of the pain being because of someone else’s lifestyle choices. 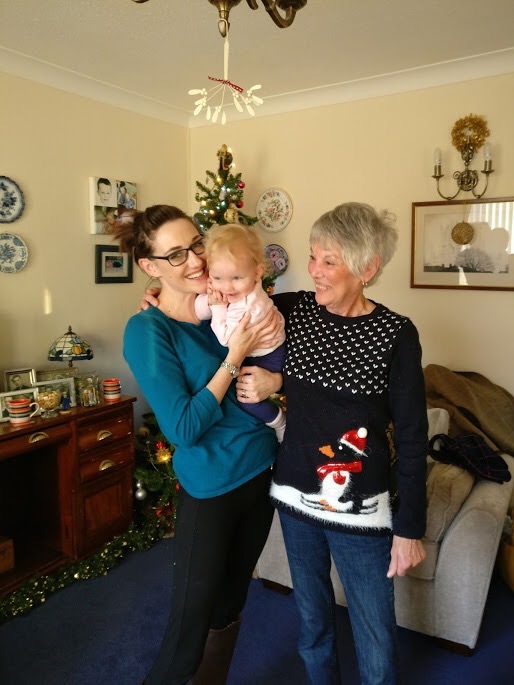 Christmas 2015 – my mum and dad were living in my grans old flat and I received another phone call. “He’s been in bed for two days, had fits, ruined my bathroom, I need help, I want to kill him.” My sober mother had finished work to be greeted the familiar stench of alcohol. But my dad had now moved onto the hard stuff – two litres of vodka – a day. He never went outside the front door, he smoked in the flat to my mum’s disgust, he hid vodka all around the house – even now we are still finding bottles wrapped up in Christmas decorations. He had lost track of days and times and only got up when he needed the bathroom or a rolled-up cigarette. She rang the doctors, she told them if he wasn’t moved out of the house then she was going to jump off the bridge in town. She wasn’t lying. A doctor came around to see my father, he promised to go to the hospital the next day and get sorted, he wasn’t drunk, he was ill – all the familiar lies we had heard repeatedly. That day that angel of a doctor told paramedics to use force if they had to when guiding him in the ambulance. – it’s not something they are supposed to do but the GP saw the desperation in my mum’s eyes. Did she do the right thing? For us – yes. I had a baby at home, a baby he had met once – and during that meeting that should be a beautiful moment, he was drunk and hiding a litre vodka bottle underneath my sofa. My husband and I found it a week later. My husband had to take him home in the car as he was wasted that day and I refused at that moment to be a parent to him any longer. I was now a parent to a beautiful little girl who was worth her weight in gold. He was discharged to a homeless centre from the hospital, where drug and alcohol dependant adults are rehabilitated. I saw him a few times walking the streets, zombie-like. He wasn’t being rehabilitated, he was being enabled. It didn’t help that the homeless shelter neighboured an off-licence. He is now in the hands of social services, he doesn’t recognise friends he once stood proudly at the bar with and I doubt he would ever recognise me even if I slapped him in the mouth with a wet fish. I haven’t seen or spoken to him for two years now. For years I enabled my mother’s drinking which were covering his ability to hide the vodka under his pillow at night. I blamed her, but in fact – she was a functioning alcoholic – went to work without drinking and could manage without it. But he – he couldn’t. Alcohol stole my Dad from me, my second hero, the only man in my life I could ever trust. Once he was out of the house my mum stopped drinking as much, probably because she was diagnosed with Chrones disease last year which she’s been told was because of drinking and the stress she lived in. We now have a lovely relationship and she is the best Gran to my daughter. Sadly, that can’t be said for my dad who is rotting away somewhere in his own filth probably. Social services even told me that when he passes away, my mum and me won’t be told – unless he wants us to know, but why would he want us to know – I doubt he even knows we exist anymore. He could be buried without us even knowing. I just hope one day, when he’s lying in a coffin I can see him and finally release the demons that have haunted me for so long. It’s sad, but I wish for the day he is released from this world, and I hope its soon. He isn’t a dad, husband, or grandfather, he’s not even human. He’s a walking miracle / zombie to be honest, how his body has coped for forty years on the liquor is outstanding. It wasn’t the best childhood but it certainly wasn’t the worst, I am proud of the woman I am today and the mother and wife I am every day. I drink – but thankfully I have never found myself being dependant on it, trust me – that little devil is there on my shoulder saying, “Go on, have another one” but I refuse it, I could have gone two ways and I’ve made my way on the good path. I ensured that everyone who whispered “She’ll be her mother one day” behind my back when I was a kid is made to look like a fool. 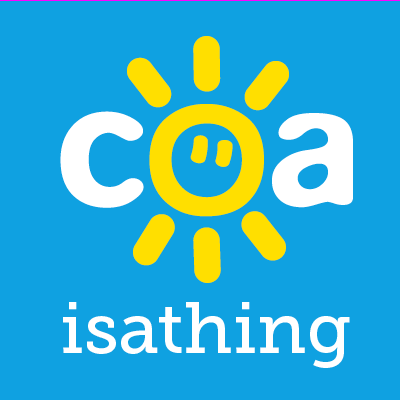 Previous Post Coaisathing Is A Year Old! Thank you for sharing your story, it’s hard to read in parts because it’s been so brutal on you. I am sad that you cut yourself as a way of managing all that craziness around you.😞 Your nan sounds lovely though and I am glad that you at least had her to help you through it and that your mum is okay now. You sound like an awesome mum and I wish you the happiest life now with your own family. 👪You are super strong. What a powerful and beautifully-written story. Thank you for sharing an honest and brutal story of life with TWO alcoholic parents. Your Gran was and IS proud of the person you are. Your memory of being told not to go looking for your mother reminded me of a similar memory I have; I was at my grandma’s house and my mother came to pick me up. I heard a commotion in the living room so I tiptoed from my grandma’s bedroom to the stairs and down the steps until I could peek over the wall and see what was going on. My mother couldn’t walk or talk properly. She was yelling at my grandma; when my aunt went to check on me, she discovered that I was out of bed and hurried and took my hand and led me back to bed. “That’s not anything for you to see,” she said. ‘It’s ok. It’s ok. It’s ok.” I was so confused and worried. Why was she acting like that??!! Memories like this haunt me. The cycle of addiction stops with you and your little one. Hold onto all of the inspiring words your Gran shared and keep taking good care of YOU. when you have an alcoholic in the family you feel so alone . I applaud you and respect your life experiences. I just wish my 2 adult children would open up about their biological father who past away a few years ago . Wonderful. Thanks for sharing. It’s kind of comforting to know your not alone. 12 years since my Mum dropped dead and at 44 the scars still rear their head. Every single day. People just don’t understand. So you just stop trying to explain it. To this day I can’t stand the smell of Vodka, it makes me hurl. Hating and loving someone in equal amounts is a daily battle. Even when they’re dead.